The feature comes through a partnership with third-party startup NewsGuard and is part of Microsoft’s Defending Democracy program. NewsGuard rates sites based on nine criteria, such as not repeatedly publishing false content, avoiding deceptive headlines, and clearly labeling paid-for content. NewsGuard had been available as an optional extension for Edge, but Microsoft is now rolling it out as a built-in feature in the mobile version of its browser. Its creators hope this will be the first step before a broader rollout across multiple platforms. As noted by the Guardian, Edge is warning those who visit the Mail Online that “the site regularly publishes content that has damaged reputations, caused widespread alarm, or constituted harassment or invasion of privacy.” Much like the Kremlin-backed RT news service, the Mail scores just one out of five for credibility. NewsGuard co-founder Steve Brill says websites with poor ratings should complain to his firm and not Microsoft. “They can blame us. And we’re happy to be blamed. Unlike the platforms we’re happy to be accountable,” he said. One of the problems with this initiative is Edge's relatively low popularity. On desktop, it’s the preferred browser of choice for just 4.3 percent of users, whereas Chrome boasts 64.15 percent. 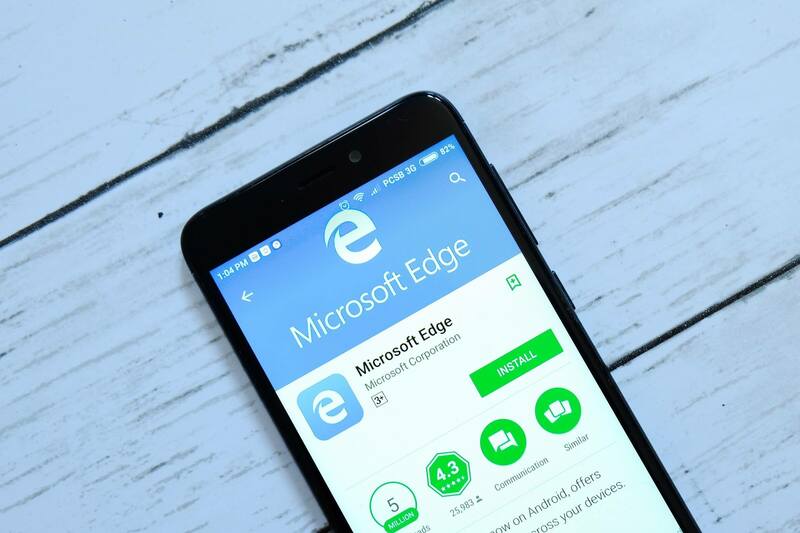 The figure is even lower on mobile, where Edge has only a 0.07 percent share. Yesterday brought news that WhatsApp was trying to stop the spread of fake news by prohibiting users from forwarding messages more than five times. If this were the case and they are more than reasonably convinced it is fake news, why don't they simply block it? It's one thing to regulate free speech but quite another to regulate fake speech ...... or is it? If that was the case they'd have to block all mainstream media. Arne Saknussemm, m4a4, Digitalzone and 2 others like this. .07% is laughable. I didn't even know there was a mobile version of Edge until about 45 seconds ago. senketsu and learninmypc like this. Biased news doesn't equate to "fake news". You would have to be a complete ***** to watch any news these days , it's not just biased it's 100% outright lies . Try googling a political question , there is nothing but page after page after page of 100% fake news links , we all know the sources that were named by Wikileaks as fake news . The above sources are NEVER EVER to be trusted .
" I do not deplore the Wikileaks revelations , they just made public what was actually the truth , most often the revelation of truth, even if it's unpleasant is beneficial" end quote . Want to know whats real trustworthy news , look for news sites that the left are criticizing as fake news and want to get rid of , everything google, facebook and twitter say is not trustworthy is 100% CONFIRMED FACTUAL TRUSTWORTHY NEWS . kombu and Arne Saknussemm like this. This is the plan first tell you it's bad. Then block you from it. Then only authorized media only will follow. The end goal is end our free flow of information. Without information we'll be easy to control. I swear for the love of god can you link to the exact page stating this. I can not for the life of me use wikileaks's search system. I have nothing against biased news, at least when they state what side they're on. However, when clips are cherry picked and consistently and purposely taken out of context to push their agenda, then yes, it equates to "fake news," as you put it. Edge is dead... Long live Internet Explorer.